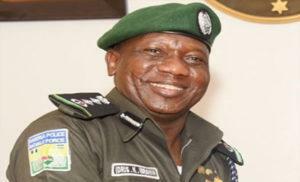 The Inspector-General of Police (I-G), Mr. Ibrahim Idris has called on Benue and Nasarawa state indigenes to forgive herdsmen and live in peace and tranquility. Idris made the call at a reconciliatory meeting between the two states on Tuesday in Abuja. Suspected herdsmen, on New Year day, attacked and killed 73 persons in Logo and Guma Local government areas of Benue. Governor Samuel Ortom of Benue had alleged that Nasarawa state haboured some militia who came to attack the people of the state at will. He said a lot of efforts and progress had been made to resolve the crisis between the two states that had lived in peace for before now. The police boss said the meeting was not an avenue for anyone to apportion blame but to proffer solutions to the problem at hand. “I want us to conduct this meeting as a sort of reconciliation; we are not here to apportion blame during our discussion. “I want all comments and observations at this meeting to be geared toward peace and reconciliation between the two states,” he said. He said the situation had returned to normal with the presence of security agencies in the state. “The information I am getting from my DIG in charge of operations in Benue, it seems the situation is returning to normal,” he said. He commended the stakeholders from both states for their efforts to resolve the crisis. “I want to thank the governors of Benue and Nasarawa for the efforts they have shown toward the return of normalcy in the states,” he said. Gov. Samuel Ortom, who was represented by his deputy, Mr. Benson Abounu, said the state cannot afford to have peace not founded on Justice and equity. “We have come here with good intention, sincerity of purpose. We are here to rub minds with our brothers from Nasarawa. “Benue is 100 per cent for peace and will do everything possible to ensure that the current crisis was brought to an end permanently. “We need peace, we must developed a strong united country, then we must have peace founded on justice, equality and security,” he said. Gov. Tanko Al-Makura of Nasarawa, who was represented by the Senior Special Adviser, retired Brig.-Gen. Mohammed Umar, said they were at the meeting to resolve their differences. Al-Makura, who said the state was not against the Open Grazing in Benue, said that his state experienced a ripple effect of the attacks on Benue. “We are not against the open grazing law in Benue,” he said. He said the comments of leaders at the various levels were very important in issues like this. The governor said that the people of the states were not at war but only had some misunderstandings which would be amicably resolve through dialogue. The meeting went into a close door session after the comments by some stakeholders. Other stakeholders at the meeting include traditional rulers and politicians. The meeting, which was at the instance of the I-G, was scheduled to hold on Jan. 15 but postponed due to the absence of the governors of the two states. The post Benue Killings: I-G urges Benue, Nasarawa people to embrace peace appeared first on Vanguard News.